Explorers is our year long youth program for 10-13 year olds. 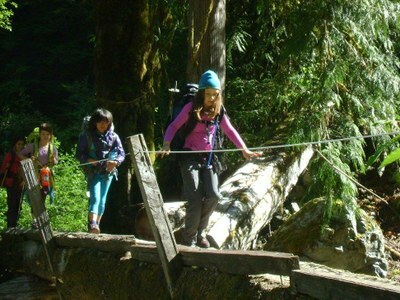 Explorers is a year-round outdoor adventure program for youth ages 10-13 and their parents who want to learn new outdoor skills and make lasting friendships. This program is designed for families who are looking for a community of like-minded families to build outdoor skills together. 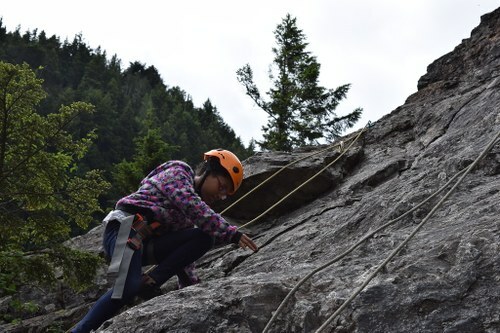 This program is also designed to prepare youth with the skills to be successful in our teen program, Mountaineers Adventure Club, once they are old enough. Members commit to meeting monthly and going on at least one outdoor adventure a month. The cohort will be supported by Mountaineers staff, but parents will be expected to play an active role in planning and even leading some trips. Staff will provide opportunities for parents to advance their own outdoor skills as well as learn key skills for leading kids safely in the outdoors. *Note that while parents/guardians are expected to be active participants in the club, there is plenty of flexibility so that youth can participate in a trip even if a parent/guardian can't make it. In order to build a cohesive community, Explorers registration is available only in September and January. Activities: Hiking, Rock Climbing, Cross-Country Skiing, Rafting, Snowshoeing, Camping, Kayaking, Exploring - anything you want! Outings are organized by staff and parent volunteers and chaperoned by at least two adults. Outings range from single-day hikes, to paddles, camping trips and climbs. Some trips have a maximum capacity, while others are open to as many youth and adults as want to attend. HOW DO I get my kids involved? To get involved, first you'll need to sign up for a Family Membership with us. Once you have created your new account, add your kids to your account by clicking on the "Membership" tab and adding a family member. Then register using the buttons below to select for the area closest to your home.